Eager to learn how one might create ‘black gold', workshop participants gave their full attention to presenter Carol Chirpich, UCCE Orange County Master Gardener, during the "Practical Composting for Small Spaces" workshop on May 19th, as she provided them with the knowledge to create the perfect compost set-up for their landscape – big or small. 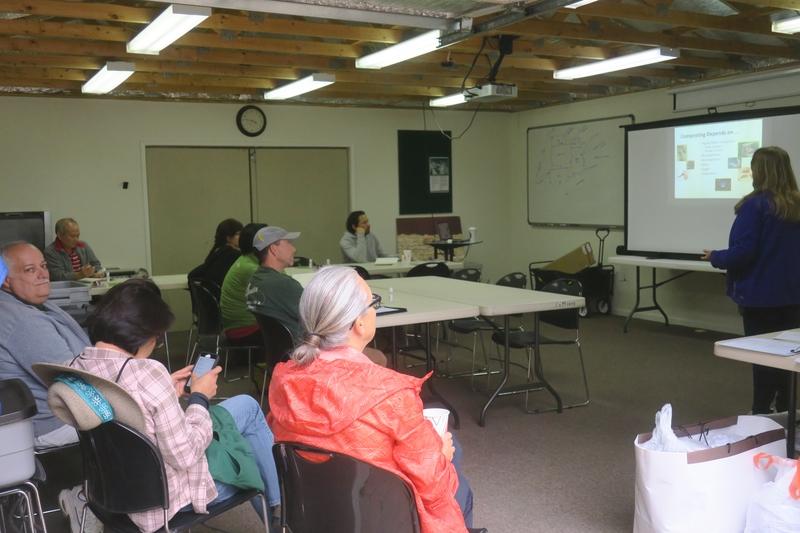 The group learned all of the basics: why compost, how to make a bin, what materials to use, bin maintenance, site placement, and the best uses for finished compost. Following the presentation, all were led outdoors to the South Coast REC Compost Demonstration Site for a tour and hands on activities which included learning how to properly turn a bin to maximize consistent temperatures and trying out various tools used for composting and vermiculture. 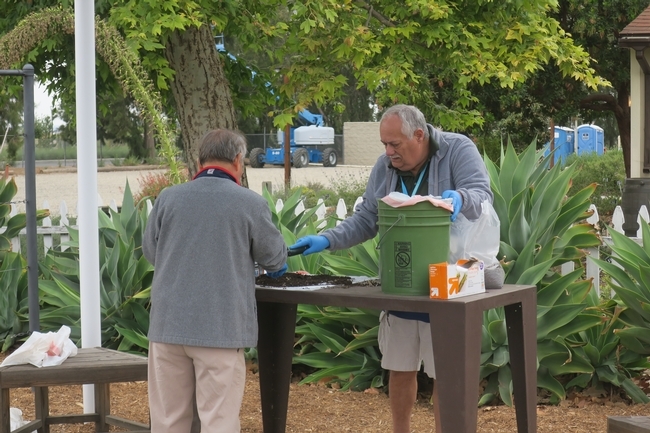 The highlight of the morning was a toss-up between harvesting worms and learning how to make a DIY worm bin to take home. Participants were given all the materials to start their own vermiculture set-up – 10gal plastic storage tub w/lid and holes drilled, paper shred, optional worms and lettuce. Much fun was had by all. We had a question at our Helpline regarding composing dog or cat feces. Do you have any experience with this? The University of California, along with most agencies, does not recommend composting the feces from carnivorous, domestic pets such as cats and dogs that can harbor parasites, bacteria and worms that may persist through the composting process and are dangerous to humans. Their waste disposed of in the garbage. 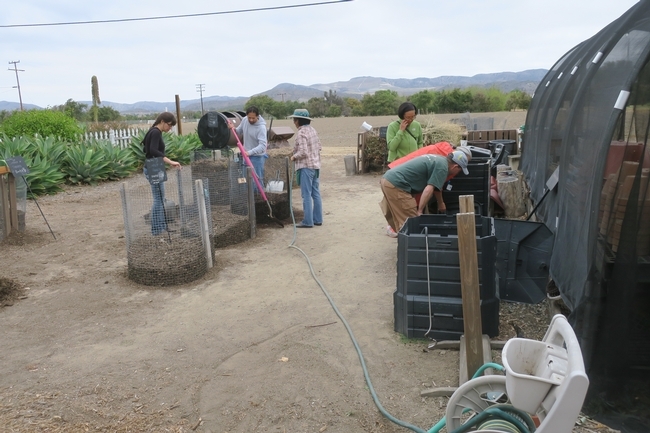 For more information, you can contact your local University of Ca Cooperative Extension Master Garden Program at http://mg.ucanr.edu/FindUs/.